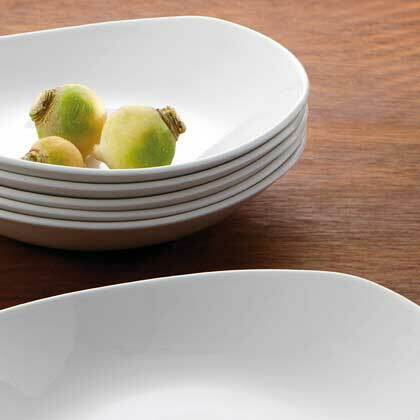 Steelite Performance Taste China Dinnerware gives a new take on casual dinning. Steelite Taste pattern allows for a relaxed, easy style of restaurant presentation. Adding a new dimension to the already full item selection, explore the possibilities of the newest designs with the Casual Square Bowls, Stack Trays, Coupe Plates and More. Offering the ultimate in style, durability and shape selection. Lifetime Edge-Chip Warranty.